New Year brings New Printers! 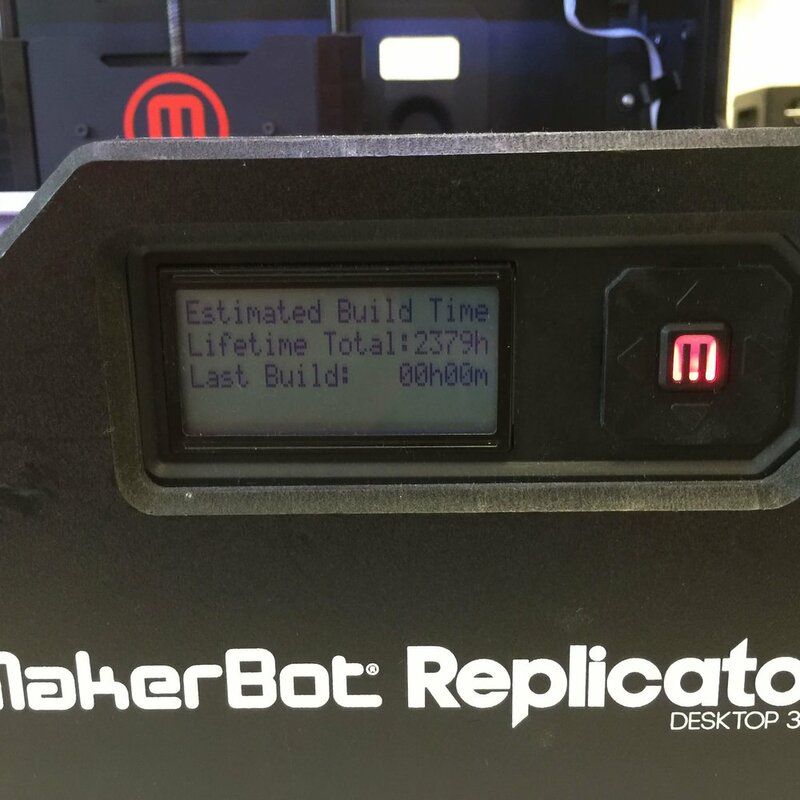 After nearly 3 years and over 2o,ooo hours of cumulative printing, our Lab's original MakerBot Replicator printers were nearing the end of their useful life. They served us well and printed thousands of objects for our users but were getting old and tired. Thus, we needed to replace them before the start of the upcoming spring semester. Fortunately, we have formed a new partnership with Ultimaker, one of the world's leading desktop 3D Printing manufacturers. As part of this partnership, our Lab has been outfitted with 12 Ultimaker 2 printers, 4 Ultimaker 2 Go printers, and 1 Ultimaker Extended printer. In addition to providing excellent printing performance, they look great and give our Lab a brighter and fresher look. We are also replacing some of our printers in our field labs with the IMMLP project. The MakerLab will reopen during the week of January 25. Please stop by and take our new Ultimakers for a spin! We will be launching our workshop series again starting in February. Happy New Year!